She's pretty in pink and all set to go! This Lemon Loves Layette "Rula" pink romper for baby girls is a ruffle-y delight in this picture perfect pink! 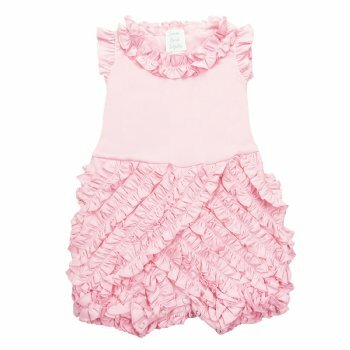 Bodice of the romper is subtly trimmed around the neckline and sleeves with a pink ruffle. 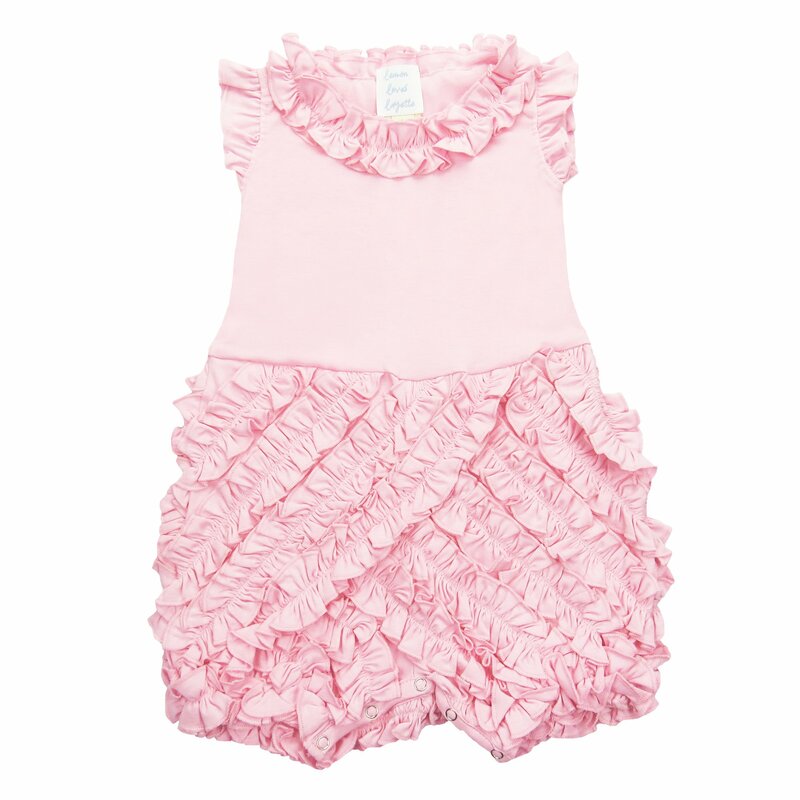 The bottom portion of the romper features layers and layers of pink ruffles that gives this romper its charm. 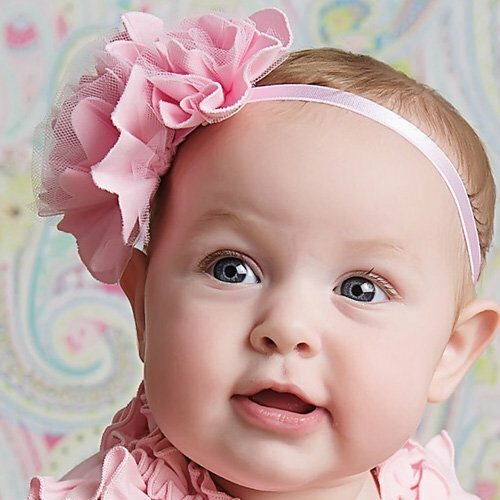 The matching headband dresses the outfit up or down, but is also just too cute to resist! You'll want to add it to all of her outfits! The Rula romper is a great baby shower gift and just perfect this Spring for baby's first Easter.